I definitely love this initiative!!! 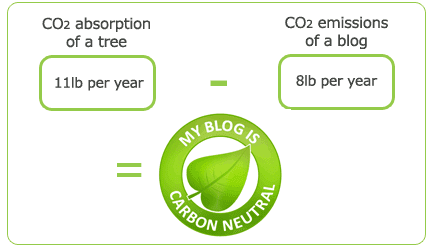 I’m honored to say “My blog is carbon neutral”, because the goal is to reduce carbon dioxide emission. As demonstrated in a lot of study, the atmosphere can be relieved by an average of 5kg carbon dioxide every year by planting one tree. 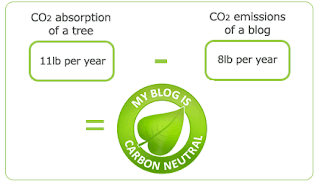 An average blog causes 3.6kg of carbon dioxide emissions, consequently, a tree neutralises the carbon dioxide emissions of a blog. After this post, I will send it by email to this address CO2-neutral@kaufda.de and they plant a tree for my blog. All the trees will be planted in Plumas National Forest in Northern California during the spring of 2010 by the Arbor Day Foundation and thereby neutralise my blog’s carbon footprint for the next 50 years! Isn’t it a good initiative??? So blogger what are you waiting for??? You have to do that!!! Check all details here! 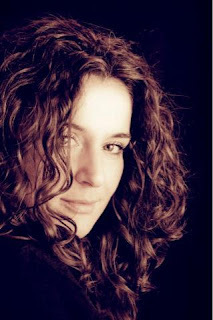 Grazie per il complimento!!! :) continua a leggermi che ci sono in cantiere un sacco di cose carine!! !